The 2015 Ford Mustang concept rumor mill is grinding out new facts and fiction, almost daily, usually with the same car mag concept renderings, spy pictures and specifications. Ford has been pretty tight lipped about the fine details of the all new Stang, albeit a few spy photos showing some of the undercarriage notwithstanding. That got us to wondering just what the new pony car would look like as a Mustang California Special Concept for 2015. The two biggest questions for the new concept and the final production platform, are whether Ford will finally build a fully independent rear suspension car and will the shape look to the past, present or future. 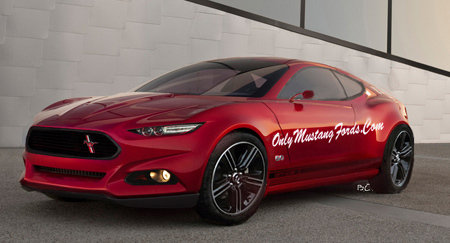 The OnlyMustangFords.com 2015 Mustang California Special Concept is our best scientific guesstimate as to the direction that FOMOCO is taking. In the last few months, thinking that the new Stang will be a 2014 model, hundreds of periodicals have steadily filled the information void with pictures of old concept cars, reprints of a Car and Driver concept photo and a bunch of others simply showing pictures of Ford's Evos concept, which was introduced late 2011 at the German auto show and calling it the 2014 Mustang. The big question of course, is exactly what this new pony car will look like. Another retro rendition, updated for the world market or something all new, with enough styling cues to tell you that you are looking at the newest edition to this half century icon. Ford has stated that it's newest pony car will again be a front engine, rear drive platform, which gives credence to the expectation that the 2015 car will retain at least some of it's original pony car looks,including some form of the iconic long hood/nose and powerful rear haunches, combined with more contemporary styling, to help compete with the likes it' domestic and import challengers. Ford fortunately has an interesting track record for restyling the iconic Mustang, from the SN95 and Sn97 cars to the clear winner in the pony car market with the introduction of the retro styled fifth generation 2005 model. So you can expect that there will be some clear styling cues keeping this new model as a logical progression in the Ford muscle car revolution. Solid axle or independent suspension? That's still the question, but given recent spy photos of the 2015 Ford Mustang concept test mule ( a cobbled up 2013 Mustang test bed), it looks like IRS will finally be available on the new Mustang, helping it compete even more strongly with the likes of the Chevy Camaro, Hyundai Genesis and others at the low end and the Porsche, BMW's and others at the high end. (I can hardly wait for the 2015 Shelby). Down Under, thanks to the V8 Supercar league, there's been a lot of development with an IRS unit that can handle some significant V8 power, so it wouldn't be surprising to find something appearing out of a V8 Supercar or modified production Australian Ford Falcon rear end. Ford's "Control Blade IRS" system was first to see market in the 2002 BA Falcon. This system has been mated to Ford's 5.4 liter V8 since the 2008 model year and had been quite happily taking all of the 390 horsepower the Xr8 model could dish out! 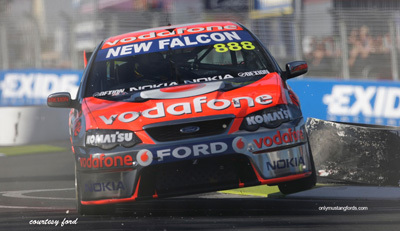 The V8 Supercar units found in the race Falcons are built to take the power of the current Boss 302 V8, further punched out to produce 650 horsepower so with a little help from Ford Racing, the units could work nicely in the new 2015 Mustang. 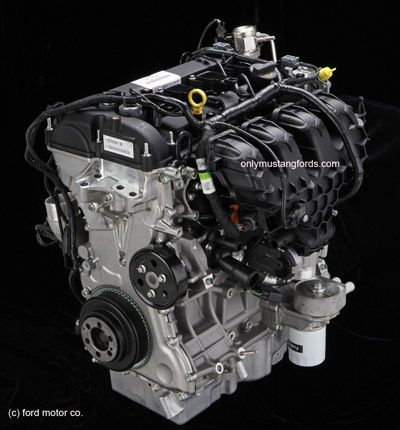 Ford, however, has been reported to be working on a 2.7 liter, 4 cylinder EcoBoost engine that would not only be more fuel efficient, but could be made to crank out over 300 horsepower! 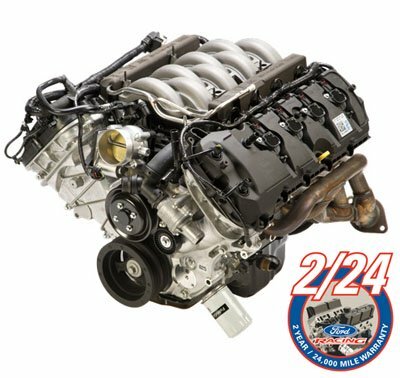 The addition of this engine option adds even more credibility to the idea that the new Stang will be set to be sold the world over to loyal enthusiasts under the company's One Ford global model policy. Looking at the 2015 Ford Mustang concept and production models, gas mileage has to be a part of any equation these days and the proof of how far FOMOCO has come, only has to be seen in the current 305 horsepower V6, which sets records now, in it's class. And if you still lust for the sound of an amazing American V8, don't count out the powerful high revving 5.0 liter Coyote V8 engine either. This is one area that the stylists have kept the lid on. We hope the new 2015 Ford Mustang concept interior and production models will continue to reflect improvement, as they have since the introduction of the 2005 model. To compete better against both, the European and Japanese (don't forget Korean either), the last of the tacky, cheap looking and feeling door panels have to go. When Will The 2015 Ford Mustang Concept Become Reality? Mark December 5,2013 on your calendar. That's the day the pre production 2015 Ford Mustang fastback and convertible was introduced to the public at the 2013 New York Auto Show. And that's not all. Virtually simultaneous introductions were done elsewhere in the world, marking the new Ford's availability in many additional parts of the world! Want to see how close our concept came to the real thing? Check out the very first pics of the all new sixth generation Mustang fastback and convertibles. And beyond the all new styling, there's some interesting work under the hood and under the car. 2015 Ford Mustang concept to Mustang home.